BOMA San Francisco Government Affairs & Industry News for Commercial Real Estate Professionals: November Election Candidates' Profile - BOMA San Francisco's Dual Endorses for Supervisor in District 10 - Learn More About Shamann Walton and Theo Ellington + Volunteer and Donate! November Election Candidates' Profile - BOMA San Francisco's Dual Endorses for Supervisor in District 10 - Learn More About Shamann Walton and Theo Ellington + Volunteer and Donate! 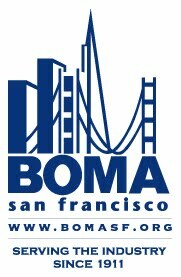 The BOMA SF-PAC has endorsed two candidates for supervisor in District 10. Please take a moment to learn more about Shamann and Theo and, if you are so inclined, consider a donation to each campaign and/or volunteer. District 10 encompasses Potrero Hill, Central Waterfront, Dogpatch, Bayview-Hunters Point, Bayview Heights, India Basin, Silver Terrace, Candlestick Point, Visitacion Valley, Little Hollywood, Sunnydale, and McLaren Park in San Francisco. If you have any questions, please reach out to John Bozeman, BOMA San Francisco's Director of Government and Industry Affairs, at johnb@boma.com. Click here to donate to Shamann Walton's campaign. Click here to donate to Theo Ellington's campaign. Click here to volunteer for Shamann Walton's campaign. Click here to volunteer for Theo Ellington's campaign. Shamann Walton is running for Supervisor to be a strong voice for the communities of southeast San Francisco and to make sure City Hall works for all of us. He knows that everyone deserves a quality education, a good paying job, a safe neighborhood, and affordable place to live. As Supervisor, he will fight to improve our schools, bring more jobs to the district, increase access to affordable housing, bridge relationships among all southeastern neighborhoods, and stop gun violence on our streets. Shamann was born in San Francisco and lived in public housing at an early age in Bayview and Potrero Hill. He has worked in our District 10 neighborhoods for almost two decades. Shamann has witnessed firsthand the challenges our community faces from long-time residents being pushed out of the city to losing childhood friends to violence and incarceration. As an accomplished and experienced community leader, Shamann has dedicated his life to improving these realities in our community and is committed to identifying solutions to our most pressing issues. Shamann is committed to identifying solutions to our most pressing issues. As the former Director of the Potrero Hill Family Resource Center, Walton focused on increasing resources such as emergency housing, food and other basic needs for families in public housing and improving education programs in public school by preparing them for kindergarten. As the Executive Director of Young Community Developers (YCD), a non-profit in Bayview-Hunters Point, he is spearheading job training, career placement, and rental assistance services for residents as well as building hundreds of affordable housing units. Under his leadership, YCD has increased its annual budget by more than $8 million dollars and has employed hundreds of District 10 residents. In his role as President of the San Francisco Board of Education, Shamann spearheaded the effort to close the achievement gap for Black, Latino, and students with special needs; fought to protect undocumented students; worked tirelessly to ensure we employ the highest qualified teachers and identified affordable housing strategies to make our city more affordable for educators. Shamann is a proud father to his two adult children, Monique and Malcolm, who are both graduates of Bay Area public schools. He lives in the Bayview with his wife, Mesha, and his two stepsons–one who is a graduate of SFUSD and one who is still in middle school. Shamann is an accomplished community leader and champion for students and children of San Francisco. He has a proven track record of creating positive change in the communities he serves. Theo Ellington (艾霖敦) is truly committed to being a voice for the neighborhoods we deserve. Growing up, Theo attended local neighborhood schools including: Dr. Charles R. Drew College Preparatory Academy and Gloria R. Davis Middle School in Bayview before graduating from School of the Arts High School. He graduated from Notre Dame de Namur with a bachelor's degree in Political Science and later obtained his Masters in Urban Affairs from the University of San Francisco. He’s running for Supervisor to make sure every family—not just the wealthy—can afford to live in our city. His commitment to public service began at an early age as a mayoral-appointee to the San Francisco Youth Commission where he was a liaison between various city departments and young people throughout the city. Later, Theo earned a mayoral appointment to serve as Commissioner for the San Francisco Office of Community Investment and Infrastructure, where he lead the creation of 1,042 homes, including 242 for formerly homeless families. Theo also served on the San Francisco Human Rights Commission, where he defended anti-discrimination policies and protected the city’s most vulnerable populations. As the Director of Public Affairs for the Golden State Warriors, Theo worked to create over 3,000 good paying jobs and held developers accountable to the neighborhood. He spearheaded public policy initiatives around transportation, workforce development, and quality of life. When Tetra Tech tried to fraudulently cover up the environmental disaster at the Hunters Point Shipyard, Theo stood for the community and fought back, filing a lawsuit to protect the neighbors and hold the responsible corporations accountable. He is the only candidate who has pledged not to accept campaign contributions from these corporations. In a volunteer capacity, Theo serves as a board member for several local non-profits: Bayview Opera House, Economic Development on Third, and Chinatown Community Development Center, and was recently (in January 2017) elected to serve as Assembly Delegate to the CA Democratic Party. Today, Theo lives at home with his wife Seray and dog LeRoy.